Refined, stylish, capable, these are some of the words that you may not expect to associate with a pickup truck, but the 2018 Ram 2500 hits the right mark. Power is, of course, the number one part that makes this truck successful, delivering impressive towing capabilities, and just as impressive payloads. This truck has it all, and in 2018, Ram is giving you, even more, reasons to love it. Some new features to this model year include an appearance upgrade to the Sport trim, a standard backup camera on every trim level, a special Limited Tungsten edition, a remote exterior switch in the truck bed that activates LED bed lights, and an 8.4-inch touchscreen with 4G LTE, Android Auto, Apple CarPlay, and HD radio. 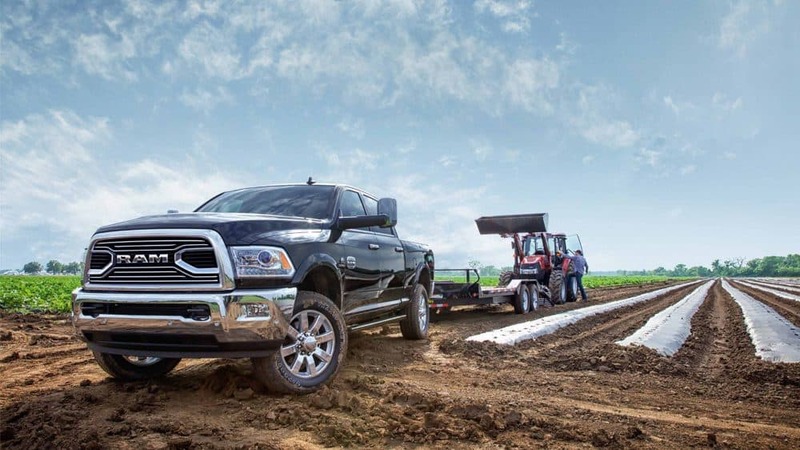 The Ram 2500 gives you everything you could need while delivering the towing and payload capabilities that keep you coming back for more. What safety features are offered in the Ram 2500? The 2018 Ram 2500 comes standard with stability control, front head airbags, dual front side-mounted airbags, 4-wheel ABS, a post-collision safety system, ventilated front disc-solid rear disc brakes, and traction control. 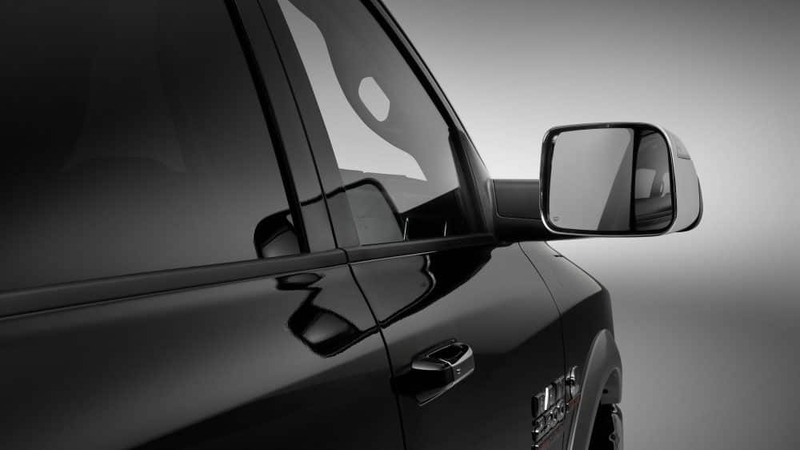 Higher trim levels, like the Laramie, add more safety features like a rearview camera, and front and rear parking sensors. 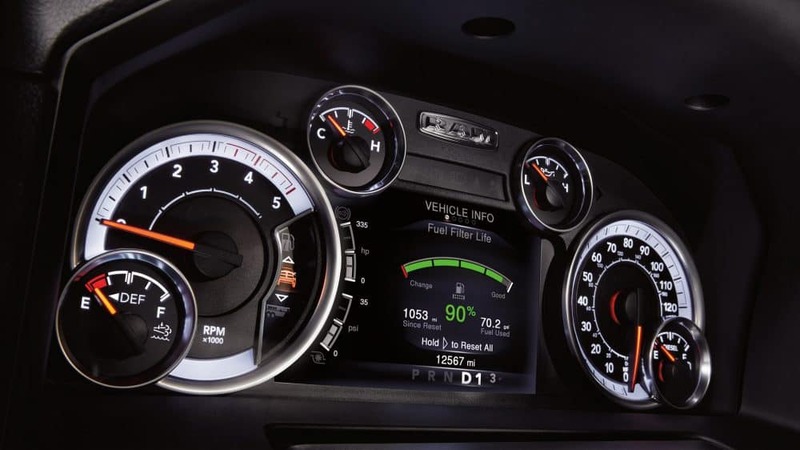 These safety features are vital in giving you the best pickup truck experience imaginable. No more worrying about anything besides towing your favorite boat to the lake for a weekend away. 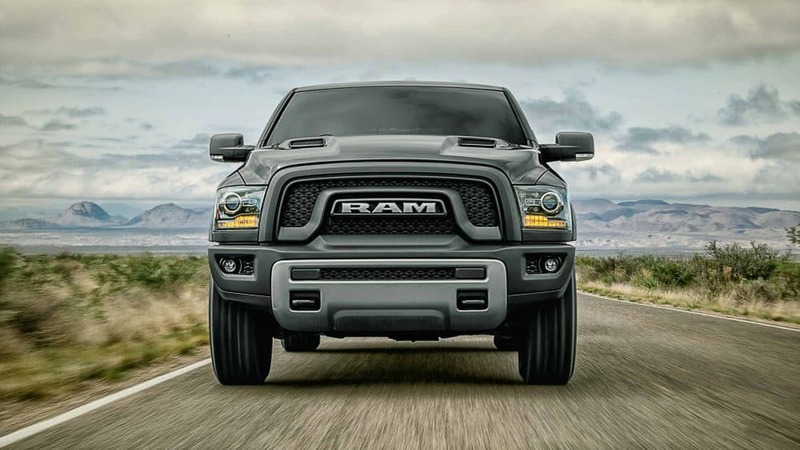 What are the engine options in the Ram 2500? The power in the 2018 Ram 2500 comes from three different engine options, the 5.7-liter HEMI V8, the 6.4-liter HEMI V8, and the 6.7-liter Cummins Turbo Diesel. The 6.7-liter engine can create 900 lb-ft of torque and 385 horsepower, the 6.4-liter engine creates 429 lb-ft of torque and 410 horsepower, and the 5.7-liter engine delivers 400 lb-ft of torque and 383 horsepower. All of that power adds up to a towing capacity of up to 17,980 pounds. Even the suspension is powerful, making sure that this pickup truck is capable with a five-link coil system, or even an air suspension system. 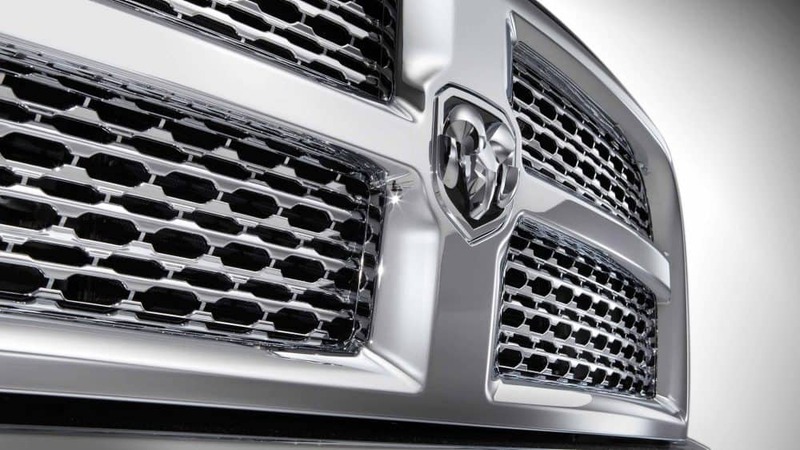 What are the trim levels and configurations offered? 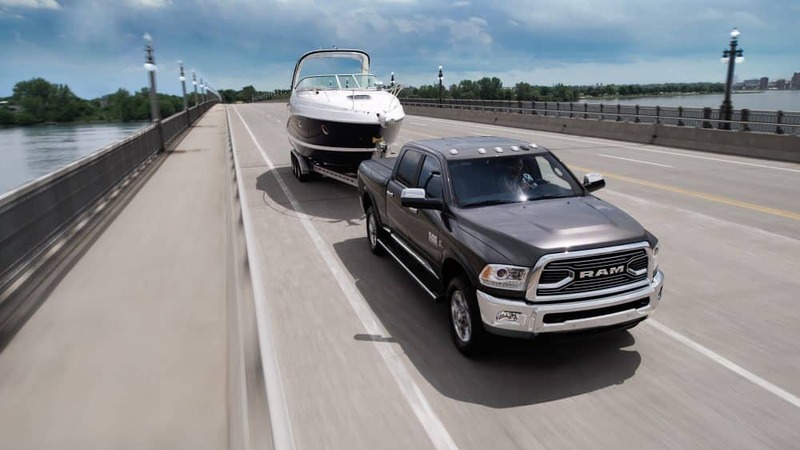 The model lineup with the Ram 2500 always shines, and this model year is no different with eight different trim levels and four cab and bed configurations. 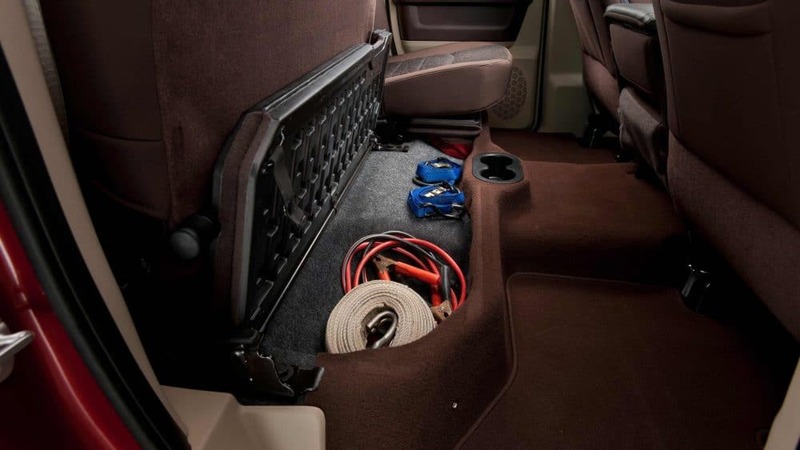 The Regular Cab comes with an 8-ft bed, the Crew Cab comes in either a 6-ft 4-inch bed or an 8-ft bed, and the Mega Cab comes with an 8-ft 4-inch bed. The Tradesman is the base trim, giving you standard and reliable features like heated mirrors, black grille and bumpers, a tilt-only steering wheel, automatic headlights, 17-inch steel wheels, a six-speaker stereo with a USB port, vinyl flooring and upholstery, power locks and windows, a 40/20/40-split front bench, and a locking tailgate. A middle-ground option that is available is the Big Horn, which builds on the Tradesman with features like a 10-way power driver seat with power lumbar adjustment, a leather-wrapped steering wheel with audio controls, chrome grille slats, a 115-volt power outlet, 18-inch alloy wheels, fog lights, a limited-slip rear differential, premium cloth upholstery, and remote ignition. Even more luxury items are available with the Limited, which adds special black leather upholstery, keyless entry and ignition, an adjustable bed divider, bedside storage compartments, automatic wipers, automatic high-beams, additional exterior trim, 20-inch wheels, color-keyed bumpers, and monotone paint. The Ram 2500 is truly the pickup that gives you everything. 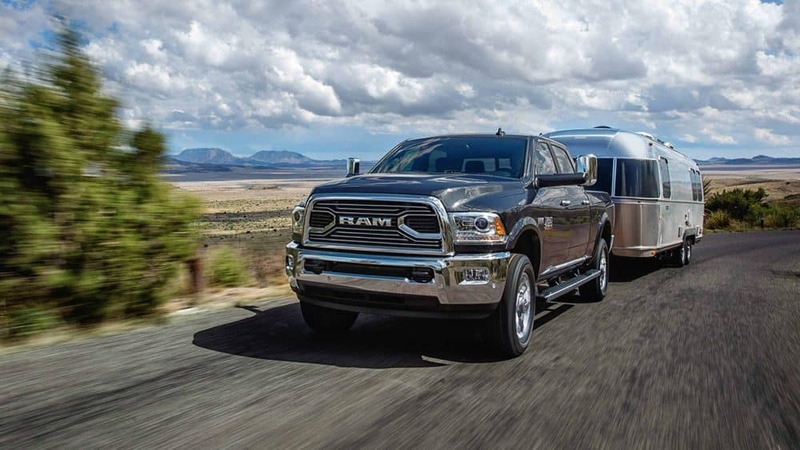 From powerful engine types to three cab configurations, and a towing capacity of over 17,000 pounds, the 2018 Ram 2500 outshines its competitors. Schedule a test drive with us today to get yourself behind the wheel of one!